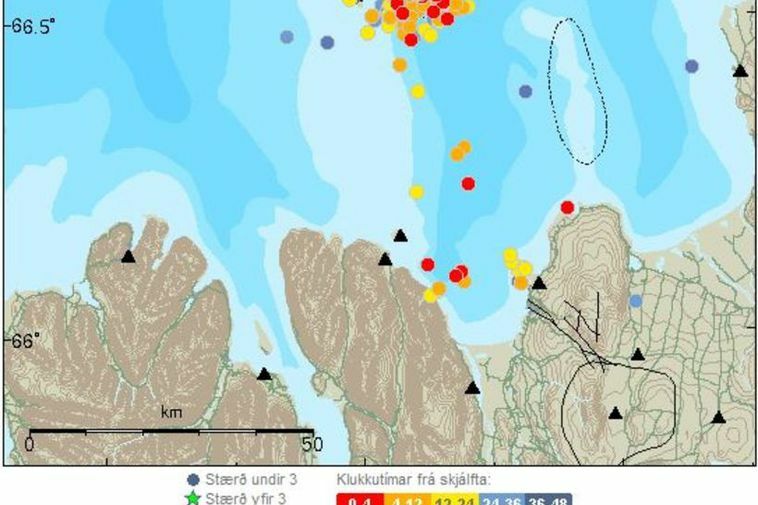 There are still numerous earthquakes at Grímsey island in North Iceland and this morning three were measured at 3.5 to 3.6 on the Richter scale in the space of thirty minutes. From midnight, five earthquakes were measured over 3 on the Richter scale. All occurred in a similar spot of origin and at a similar ocean depth. There are no signs of volcanic unrest on the Iceland Met Office's metres.